Ping Liu opens, Ian Steinman 3-bets, Liu moves all inn and Steinman calls, the two players get their chips in the middle preflop, with Steinman at risk in what is by far the biggest pot of the tournament so far. Liu shows Pocket_Tens and finds he is behind the Pocket_Jacks of Steinman. 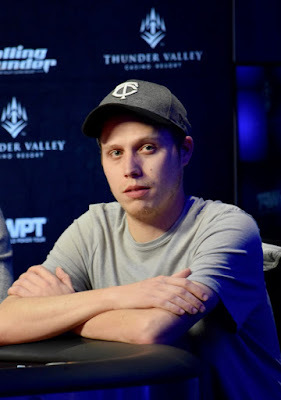 The board runs out 5-3-Q-9-7 and Steinman picks up his second double at the WPT Rolling Thunder final table, moving now to 4,2000,000, Liu to 1,200,000.